In 2009, in Nantes, Ange Leccia realized Nymphéa, permanent work of Estuaire, which consists of a video projection on the surface of the water: he came to install, in the city of birth of Jacques Demy, the supernatural image of an icon of fashion and cinema, Laetitia Casta. 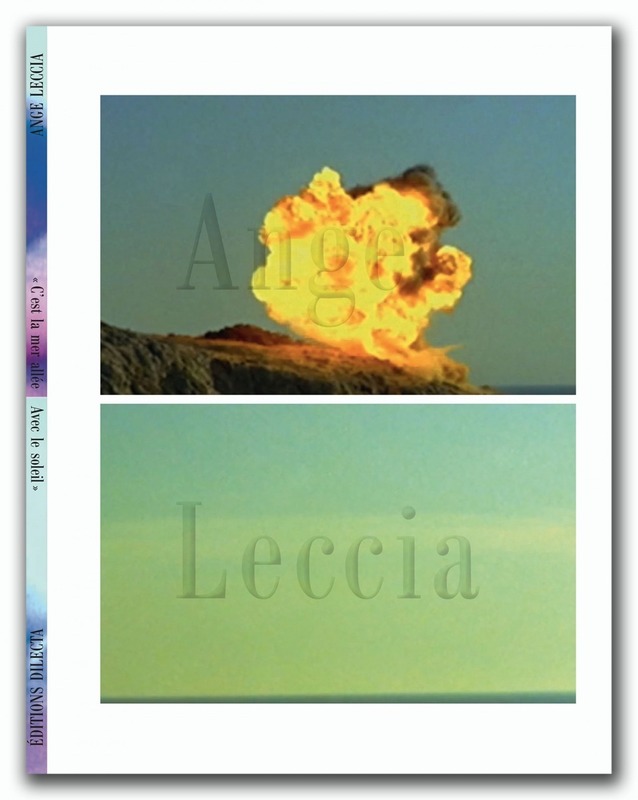 By playing brilliant effects of the image on the aquatic element, Ange Leccia returned to the essence of the video: the projection of light. The time of the shooting joins the time of the passing water. Waterlily is under water as all the images that Ange Leccia will look for are in him. This quest, this journey within oneself, is the program of "The sea gone with the sun". An introspective exhibition, like a dive in thirty-five years of practice in which we meet all the figures that make the singularity and beauty of Ange Leccia's work: the omnipresence of water, images as memories of her Corsican youth; explosions, storms, thunderstorms and breakers that illustrate its sensitivity to the skin; reworked television images in which the inner gravity joins the gravity of the world (in contrast, unceasingly, the beauty of the natural world); young girls or teenagers as the state of artistic creation of all possibilities, but where one feels lost in the face of the unknown; pop music and hits that often stick to the memory of a strong feeling. Originally conceived as a biennial event (2007-2009-2012), Estuaire Nantes <> Saint-Nazaire is today an open-air collection of thirty permanent works realized in situ, in Nantes, Saint-Nazaire and in the neighboring municipalities. of the Loire estuary that connects them. The artistic project accompanies a political project: the construction of the metropolis Nantes Saint-Nazaire. Thus, each of the works of this "dispersed monument" guides to an atypical place or a remarkable site of the estuary. Between fragile nature reserves and gigantic industrial buildings, the Loire estuary is a complex territory. Daedalines of small paths, entanglements of canopies, doors of multiple entries to its discovery: the works of Estuary are the breadcrumb trail of a constantly changing space. There exists for this work a linited edition cosntitued of a series of photographs and videos of the exhibition.